A beautiful dark red replacement glass lamp shade for Aladdin Kerosene Mantle Lamps Model 6 #115 or #116 Hanging Lamps or Model 23 #BH210 Deluxe Brass Hanging Lamps. This Bell shaped shade is designed to mount from the top by screws to the hanging lamp frame. 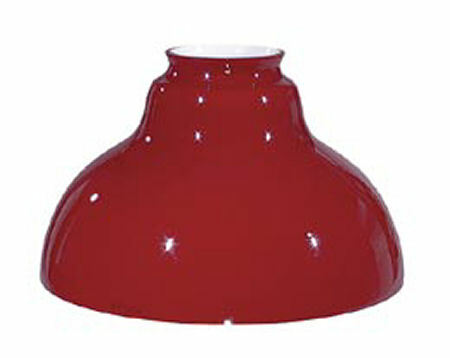 The unique shape of this shade allows for the maximum amount of light to be focused downward, towards the floor or table. 12" base diameter, 7 1/4" height, 3 7/8" lip fitter. 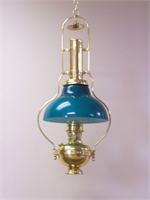 This quality reproduction shade is made by BP Lamp Supply.